How To Choose The Best Wok For Your Kitchen In 2017? 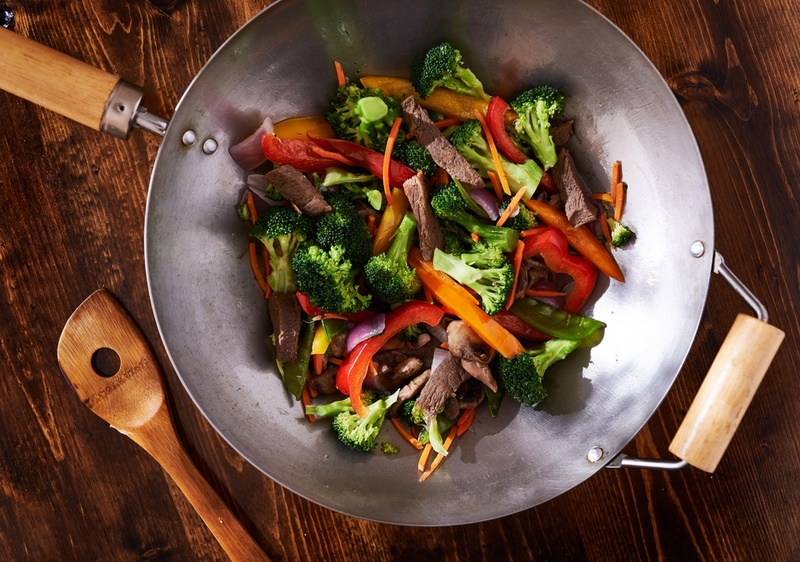 →How To Choose The Best Wok For Your Kitchen? 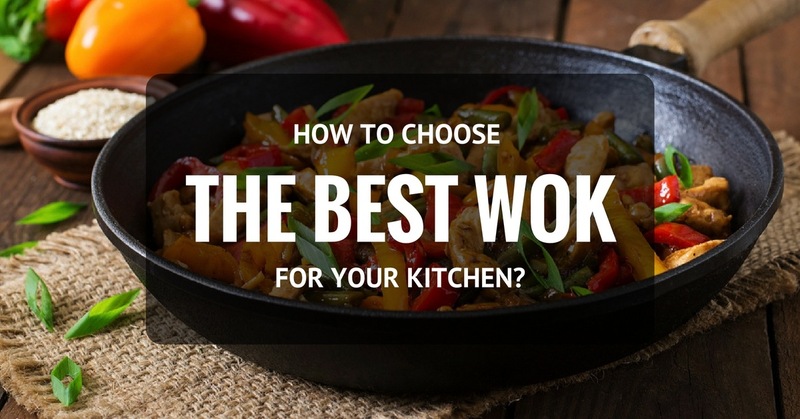 How To Choose The Best Wok For Your Kitchen? How to choose the best Wok for your kitchen is not an easy task. There is a wide range of woks on the market with materials varying from copper, aluminum, cast iron and stainless steel. A variety of shapes and handle arrangements makes the selection process confusing even more.So with all this in mind, how do you eventually pick the best wok that is within your budget? How do you know that you are getting the best deal? The straightforward answer here is to know what you want before you dish out your hard-earned cash. This means you must arm yourself with enough information about woks before you make an informed decision. What Should You Look For When Buying A Wok? What's The Best Way To Use A Wok? Price is one of the most important factors to consider when you are shopping for the best wok to purchase. Have you ever wondered why some woks cost as little as $20, while other go as high as $100? Several factors including the type of stroller, materials, styling and features go into determining the price of these products. In a nutshell, the general consensus among cooking enthusiasts out there is that a good wok will cost between $20 and $100 but you can spend less money and still find a capable and durable wok for your kitchen. The rule of thumb, however, is to buy the best wok﻿ you can afford. You need to consider the material the wok is made of before you make an informed decision. As I stated earlier, there is a wide range of woks on the market with materials varying from c﻿oppe﻿r, aluminum, stainle﻿﻿ss stee﻿﻿l and cast iron. Stainless steel woks are least preferred because they take long to heat up and cool down. So if you are planning to cook something that requires rapid heat adjustments, these woks will not be the best option for you. Stainless steel woks are also a little bit heavy compared to other woks. The better choice is a wok made of cast iron. Even though they take a little bit longer to heat up and cool down, they come with a special coating which offers a better nonstick surface. You will only need to worry about breakage because cast iron is too fragile. However, many manufacturers nowadays design woks with double layers of cast iron to make them less fragile. The best wok you can choose, when it comes to material, is one that is crafted from carbon steel. These particular models heats up and cools down quickly something many cooking enthusiasts want. They are also inexpensive and durable when they are handled with maximum care. Consider woks crafted from carbon steel of at least 14-gauge. If you want a wok with a deep bowl shape, traditional woks will be the best choice. It works best when your range is fixed with a round-bottomed wok insert. When cooking with this type of woks, they make it easier for you to move food within different high-heat zones.I prefer woks with gently sloping sides and slightly flattened bottom because they work best with my range. You can also consider them because they provide plenty of heat space compared to deep bowl shaped woks. They also provide you with a good space to move your food around. When it comes to handles, there two types of woks you can choose: Northern-style woks and cantonese-style woks. Northern-style woks are designed with one long handle on one side and a small helper handle on the other side. Cantonese-style woks are designed with two small handles of the same size on either side. I prefer a Northern-style wok because its long handle makes it easier for me when carrying out stir-frying or flipping. The smaller handle on the other side make it easier for me when lifting the wok out of the range. You would prefer to purchase woks that are easier to care and maintain. Cast iron and copper woks generally require a considerable amount of work to keep them in good condition. Carbon Steel or s﻿﻿﻿tainless stee﻿﻿﻿l woks will be the best choice because they are little easier to care and maintain. This YouTube Video will also equip you with tips which can help you pick the best wok from the variety of options. Woks come with a layer of oil which prevents them from tarnishing or rusting when stored in humid conditions. It is important to remove this protective layer from the wok when you want to use it for the first time. You can use warm water and soap to scrub out the oil, dry it completely and place it over the range on high heat to clear out the oil. Avoid scrubbing the wok with warm water and soap after use unless it is necessary. You need to rinse it to dry with a towel and rub the surface with some cooking oil to prevent it from rusting. When you use the wok continuously, the cooking oil you use will be converted into polymers. These polymers will cover the metal’s microscopic pores making your wok completely nonstick. I’m finally ready to take you through my popular choices for woks you can consider buying in 2017. Just keep in mind that there are dozens of them on the market. I chose these top 5 products based on the factors that I have outlined above and other criteria such as their overall rating and number of reviews at Amazon. Lodge P14W3 Pro-Logic Wok is a large sized wok you can use to prepare generous amount of food. The wok is made of cast iron which not only provides maximum heat retention but also even heating for efficient cooking. It has two same sized assist loop handles which guarantee safe and secure handling during cooking. It can be use in the oven, gas ranges, electric ranges and many other stovetops. Lodge P14W3 has a flat bottom which allows you to use on gas or electric range freely without the use of any holder. The wok is pre-seasoned and coated with a fine finish which improves as you continue to use it. You don’t need to worry about care and maintenance. After use, you only need to clean it with hot water and a stiff nylon brush. Multi-Ply Clad Stainless-Steel Wok is designed with three layers of metal for fast heating, even heating and even distribution of heat. The brushed stainless-steel finish is resistant to scratches and guarantee durability. The wok comes with one large stainless-steel handle on one side and a small helper handle on the opposite side. The large handle makes it easier for you when carrying out stir-frying or flipping while the smaller handle makes it easier for you when lifting the wok out of the range. These two handles are also designed with airflow technology which makes them cool when touching. A stainless steel dome lid is included for secure fitting. This lid also traps in moisture and heat for efficient cooking. The wok can be used in oven running on heat up to 500 degrees Fahrenheit and on any stovetop. Calphalon Hard-Anodized Aluminum Nonstick Wok is crafted from heavy-gauge aluminum which ensures fast and even heating. This material is hard-anodized for improved durability and easy release performance. Calphalon Hard-Anodized Aluminum Nonstick Wok also features a nonstick surface. This surface allows your food to brown without sticking to the wok. This also means you can prepare healthier food using less cooking oil and clean the wok effortlessly. The wok comes with a long brushed stainless steel handle on one side for easier handling. This handle is designed to stay cool when cooking. It has a flat bottom which is wide enough for efficient cooking. A stainless steel domed cover is included for secure fitting. Nonstick surface for easier cleaning. Marketed as a 10-inch wok but it measures 10 and ¾ inches across the rim. Aroma Housewares AEW-306 E﻿﻿﻿﻿lectric Wok is one of the best-selling wok at the moment. The wok has a 5-quart capacity. It is designed from a material which heats up fast and ensures even distribution of heat. It is designed with an adjustable vent that allows excessive steam in the wok to come out. This feature also regulates water vapor in the wok. The wok also comes with a domed shaped lid that you can use when you can to steam or simmer food. Another appealing feature of this wok from Aroma Housewares is the wide number of accessories, including a tempura rack, a steam rack and long cooking chopsticks. The Oster DuraCeramic Wok is crafted from DuraCeramic material. This material provides a nonstick surface for easy cooking and cleaning. The material also tends to stay longer compared to many types of materials. The coating used on this wok is also PFOA and PTFE free. You can cook your dishes 10 times faster using this wok compared to other woks. This 17.5-inch wok comes with a temperature dial which allows you to read and adjust temperatures without any hassle. The wok also includes a lid which you can use to cover your food. The wok also comes with two small handles on either side for easier handling. Aro﻿ma Housewares Electric Wok is our clear winner among the products that we have reviewed above. Its large 5 quart capacity is large enough to prepare food for the entire family. The even distribution of heat also makes this wok superior among the products that we have reviewed above. When shopping for a wok, these are all important features you should look for. Of course, if you need a different unit, one of the other four options we have reviewed above may work well for you.